Last Quarter Moon in Gemini on September 3 brings out talkative moods and informative interaction. People will have a lot on their minds and intellectual pursuits are emphasized. Waning Gemini Moon is always the time to release those unwanted and frustrating mixed emotions. It’s a good idea to ease the mind by not using it so much to stir those emotions. Mercury in Leo sextile Venus in Libra (September 3 – September 6) brings good news and opportunities concerning love, music and the arts. This is a good time to get the message of love across where it is needed most. Love will come back to sustain the heart; it is a good time to call it to the attention of those people we treasure. Mercury enters Virgo (September 6 – September 23) focusing our minds more clearly on the pending events of autumn. Mercury in Virgo puts the focus of talk, communications and news on issues such as computers, budgets, systems analysis, planning, accounting, filing and organizing and brings out the skeptical and analytical side of every argument and topic of discussion. Mercury in Virgo trine Saturn in Capricorn (September 7 – September 14) brings favorable dialog concerning where to draw the lines. This is a good time to make an impression, to teach and to communicate to others those important matters that must be clarified. Timely information and news represents a gift or blessing. Important news comes with this aspect; news concerning the end of a long and arduous task brings relief. Venus in Libra square Mars in Capricorn (September 8 – September 24) creates tensions and obstacles between the forces of love and the forces of defense. The archetypal images of Venus and Mars are largely that of feminine and masculine counterparts, and in this sense there could be trouble between women and men in relationships. On the other hand, these energies can create a dynamic and animated expression of love. The square makes it difficult to harmonize these energies and letting certain obstacles remain to be dealt with later may be necessary at this time in order for tender egos to mend. Aries: The belief that we’re here to make a difference will not resonate with everyone, but Aries is ruled by Mars, and as such, you have a burning need to do something with all the energy you have. If there’s more you can do, this is the week to be productive and move mountains. 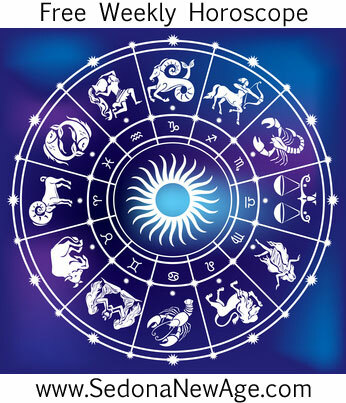 There is a very strong material theme to your chart at present, so if you have an ambition to fulfill, a pile of paperwork that needs sorting, or an idea to generate more cash, now is the time to work on it. Taurus: Ralph Waldo Emerson said, “All life is an experiment. The more experiments you make the better.” The more you can see this phase in life as experimental, the easier it will be. Uranus in your sign is unlikely to make stability and security something you can rely on, but perhaps you need to try different things before you know what’s right for you. This week is a perfect time to try new perspectives, entertain new ideas, question your old ways, and be bold, adventurous and daring. Do what feels right for you, follow the path of joy, and remember that old ways don’t open new doors. Gemini: As the planets pile up in the introspective regions of your chart, you could be forgiven for wanting to curl up at home while the world gets on with its business. Although you may feel pressure to maintain a certain level of busyness and achievement, sometimes it’s important to honor your needs and do what feels right for you. That may mean doing less and being more. Or you may want to nurture your home and create the kind of space that nourishes you and your loved ones. Cancer: Many problems we have with other people are caused by not listening. We misunderstand others, or we feel upset because we weren’t properly heard. True listening is an art. When you really listen, the other person feels heard and validated. Many disputes could be solved by lending an ear and clearing the air. Leo: The Sun’s journey through your house of resources alongside Saturn, Mars and Pluto in your work sphere is putting emphasis on practical and material matters. Now is the time to tend to important issues, get more organized, make money if necessary, and be productive. This week isn’t just about work and money, though; it’s also a favorable time to decipher what’s really important to you. We are happiest when we live in alignment with our values, so if you value authenticity but aren’t currently expressing your true self, then this is an appropriate time to start making a change. : This is a great week to make constructive changes or progress in a key area of your life, because not only is Mercury moving forward in your sign, but also your ruler, the Sun, forms a most helpful link with Saturn and Uranus. Positive developments are likely to be fairly effortless, blocks will magically disappear, problems will vanish into the ether, and life will chug forward once again. Of course, these planetary alignments aren’t going to wave a magic wand over your entire life, but they indicate that at least one problem will be resolved, and if you are willing to make constructive changes while trying something different, progress will be even swifter. The Full Moon on August 26 brings developments to your financial situation, and this is a great opportunity to embrace transformation, not just in your material life, but also your life in general. Virgo: There is a strong planetary emphasis on being true to yourself, and that might mean saying no to things that don’t feel right or penciling more enjoyable activities into your diary. Become clear on what invigorates you, and try to do more of it. This may be harder than it sounds because creating a life of joy is no easy task. It should be but we humans often lose our way and forget that which is most instinctive. Your challenge now is to get back on track. Libra: Although it’s easy to think that others are to blame or that stressful situations come from the outside, it’s often true that our external world is a mirror for what’s going on within. If there’s conflict anywhere in your life, it may stem from within. You are in an ideal position to become more conscious of how you operate. Try to make time for reflection and introspection to see how and why there’s disharmony, and as you iron out the creases in your soul, your situation will begin to straighten out too. Scorpio: If you have a dream, now is the time to become more serious about it and make a plan, double your efforts and commit to the process so that it seeps into your subconscious to shape your approach which, depending on the size or difficulty of your dream, may take some time to fulfill. The only challenge to your success could be your beliefs about what’s possible. Weed out the doubts, fears and insecurities, and start believing in your capacity to create a new vision of your future. Sagittarius: There is a strong focus on material matters, but what use is a high-power job, a prestigious car or a big house if it doesn’t nourish your soul? Try to strike a balance between material needs and doing what you want. Certainly, the heavy cluster of planets in your money zone is likely to pressure you to increase your cash flow, which may not feel easy, while Uranus could bring change or disruption to your work situation. Make use of the Sun’s journey over the successful angle of your chart, as it will light you with enthusiasm and motivation to achieve your goals, realize your ambitions, and perhaps be successful in a way that feels right for you. Capricorn: With the heavyweight planets Saturn, Pluto and Mars in your sign, life could be pretty intense right now. However, that’s not the full story because the rest of the zodiac is aligned in optimistic and expansive regions of your chart. You might face the question of whether you would rather be right or happy. This week you will fare much better and find greater happiness if you try to be less rigid. Remember, the trees that survive a storm are the ones that bend with the wind. Aquarius: Each year we are given the opportunity of a rebirth. This is your time, so capitalize on it by transforming something in your life. You might want to fast or cleanse. You may want to change your hairstyle or your wardrobe, rework a possession or a project, or engage in a little healing or letting go. Clearing out your closets and creating a fresh new space at home may do the trick, as could simply deciding to move on from a painful period in your life. Be like the snake that sheds its old skin and you will emerge feeling refreshed and renewed. Pisces: Expect confusion where other people are concerned. You may feel like a cork tossed about on the waves because of the actions of others, and you can either use this as an opportunity to practice kindness and tolerance or (this is particularly relevant if someone is over-stepping the mark) assert yourself and make sure you have your boundaries in place. Otherwise, you could be taken advantage of. Don’t be a victim, and allow your sympathetic and compassionate nature to help those who genuinely need it. Sun 01° Taurus 41' 50"
Moon 06° Sagittarius 00' 50"
Mercury 06° Aries 20' 04"
Venus 01° Aries 44' 24"